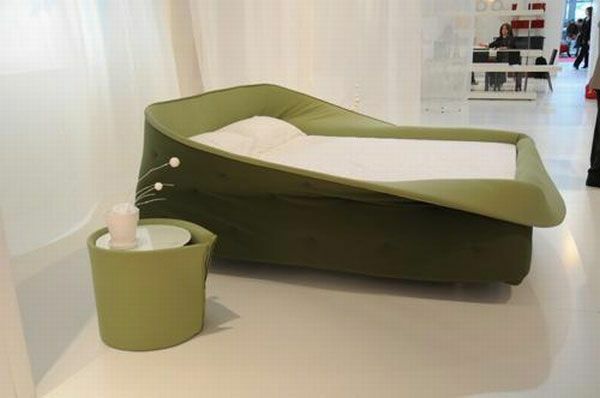 Lago Nest-Like Bed, Impossible to Fall FromLago Nest-Like Bed, Impossible to Fall Fromwe would like to introduce you to one of Lago’s latest creations designed by Nusa Jelenec. 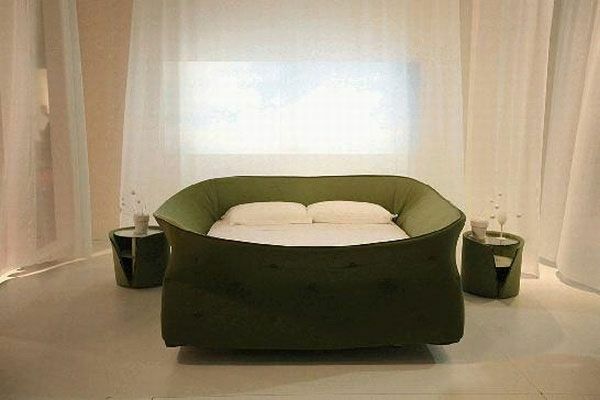 Comfortable and with a high regard to aesthetic aspects, this interesting looking piece of work guarantees its owner will never have to go through the unpleasant and embarrassing experience of falling off the bed. Not only are the margins stylish and original, but they are also said to be extremely soft. We also enjoy the complementary night tables, as they manage to pleasantly fill up a friendly and cozy interior. 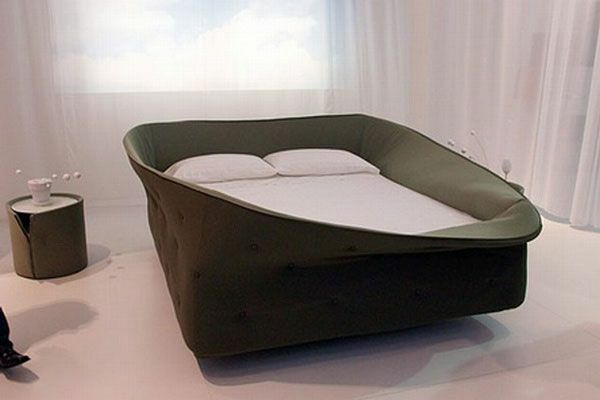 For those of you joining the Milan festivities, Lago will also be present and this bed will be one of their exhibited products. We say their “corner” is definitely worth the visit. This entry was posted on Sunday, April 18th, 2010 at 8:25 am	and is filed under Bedroom, Ideas. You can follow any responses to this entry through the RSS 2.0 feed. You can leave a response, or trackback from your own site.